Golden Bear Cottages is truly an historic mountain property, not a five star hotel. If you are looking for a peaceful and quiet resort with a heated pool and spa, lots of outdoor activities and a family of staff that truly appreciates you and your family or group of any size, then this is the place for you! Golden Bear Cottages is truly an historic mountain property, not a five star hotel. Best place to stay, AAA approved cabins. If you are looking for a peaceful and quiet family vacation resort with a heated pool and spa, lots of outdoor activities and a family of staff that appreciates you and your family or group of any size, then this is the vacation place for you! Historic Golden Bear Cottages resort provides group and family friendly lodging and vacation accommodations in Big Bear Lake, and offering 28 fully equipped, "pet friendly" cabins and AAA approved vacation rental cottages on our family friendly five acre resort. Golden Bear Cottages is the only lodging resort to offer Tempur-Pedic queen beds. Big Bear Lake is Southern California's premier four-season vacation destination. Big Bear Lake's superb climate, scenic beauty and wide range of recreational choices make it the perfect family friendly vacation choice. Are you looking for a family friendly vacation in Southern California? If you live in Orange County, California and don't want to drive, but still want to stay in a hotel so you can feel like you are getting away for a Labor Day or Memorial Day vacation, you can stay at the Disneyland Hotel and enjoy some family fun at Disneyland, California Adventure, and Knott's Berry Farm. There is one thing you need to know about the Disneyland Hotel and that is that hotel is very expensive during the summer, but very enjoyable if you have the extra money. If you live outside of Orange County, California, this is a great family friendly vacation that you and your family will love. The Disneyland Hotel is right next to the Downtown Disney District and has over 969 rooms. The Disneyland Hotel has added 19 new rooms that have a theme to either Mickey Mouse or the Disneyland Princesses. The character rooms have two twin beds that are available adjoining a standard room. The Disneyland Hotel has a beautiful Never Land themed pool for your family to enjoy. If you love the mountain air, the Golden Bear Cottages in Big Bear, California has historic mountain cabins that is family friendly Labor Day vacation and is AAA approved. The world famous Golden Bear Cottages has 29 cabins with prices ranging from $99 for a one-bedroom cabin up to $799 for a seven-bedroom retreat cabin per night for your family weekend or weeklong family vacation getaway. They even have a free Fisherman's and Boating Club which offers special midweek discounts. The Golden Bear Cottages is a quiet mountain resort that has a heated pool, spa, and many year-round outdoor activities for your family including boat rentals at 15 to 25% discounts from the Pleasure Point Marina. Take a look at the beautiful vacation photos from the Golden Bear Cottages Gallery of cottages, special pictures of families, events and groups. One of the few great family vacations in Southern California. Best Family Cabins, Southern California, 2009-2015. Use the Internet during your stay in Big Bear Lake. 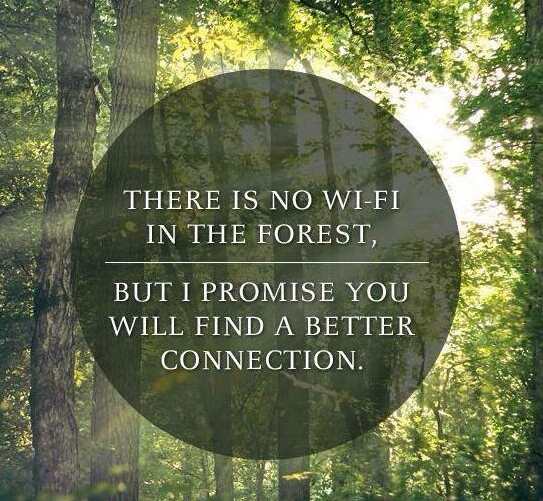 A good Wi-fi signal is always a challenge in the mountains but Golden Bear Cottages has the latest state of the art system available for our guests private use. Golden Bear Cottages guests can listen…on your computer on the free Wi-Fi wireless Internet system at the resort, just ask for the secure password for the secure system at our office at check-in or anytime during your stay with us. During and summer this year are jam-packed with educational and fun activities at the Big Bear Discovery Center. The Discovery Center is on the North side of the lake, only about six miles from world famous Golden Bear Cottages Resort. The Discovery Center has long been a hub for nature appreciation and education, projects and tours, and exciting adventures of "discovery." Spring/Summer 2011 is no exception. From canoe tours and kayaking to nature walks and panning for gold, Discovery Center serves as an educational and informational portal to the San Bernardino National Forest. Canoe Tours: Learn how to canoe on a leisurely two-hour guided tour of Big Bear Lake. Reservations recommended: 909-382-2790. Fee: $25 adults; $15 kids 6-12. Dates: Thursdays, 4-6 p.m. June 23-Sept. 1; Fridays, 4-6 p.m. May 27-Sept. 2; Sundays, 1-3 p.m. May 29-Sept. 4. Kayaking Tours: Learn how to kayak on a guided tour of Big Bear Lake. Kids need to be at least 10 years old. Reservations are required: 909-382-2790. Fee: $35. Dates: Saturdays, 9-11 a.m., 1-3 p.m., and 4-6 p.m. May 28-Sept. 3; Sundays, 9-11 a.m. May 29-Sept. 4. Holcomb Valley Off-Road Tours: A 4X4 off-road adventure through Holcomb Valley visiting historical sites and learning about Bear Valley's gold rush days. Fee: $60 adults (13 and up); $30 children 4-12. Dates: Saturdays and Sundays, 10 a.m. to 1 p.m. through June 12; Thursday-Sunday, 10 a.m. to 1 p.m. June 16-Sept. 4. Nature Walks: 30-minute guided nature walks to learn about local plant life, wild life and historical tidbits. Free. Dates: Saturdays year-round, 1 and 2 p.m.; Sundays year-round, 11 a.m. and noon. Weekend programs at the center include: Story Time for kids 6 and younger; Gold Panning; High Flying Rockets; Map and Compass skills; Pinecone Birdfeeders; Nature Crafts; Junior Forest Ranger; Build a Birdhouse; and Intro to Geocaching. "We're gearing up for a summer of outdoor family fun with lots of programs and tours, nature crafts and the weekly campfire programs," said Kathy Clapsaddle, national forest development operations director. "The Discovery Center is where families can get their science on, through connecting with nature and learning about our natural resources - all while having fun," Kathy said. "In fact, National Trails Day is coming up on June 4 - designed to celebrate and honor our trails - so we're looking for volunteers to help restore them for everyone to enjoy." The National Forest Association also presents a wonderful concert series each summer that benefits NFA restoration efforts. This year's seventh annual Music in the Mountains Summer Concert Series, designed for "healing the forest with music," begins June 25 with "The Long Run, a tribute to the Eagles," back by popular demand. Next up is "Don't Stop Believin,' DSB, America's Favorite Tribute to Journey," on July 16. "The Big Bear Mountain Music Festival," on July 30, is headlined by Brian Lynn Jones and the Misfit Cowboys. Another returning favorite, "Jim Curry's Tribute to the Music of John Denver," is set for Sept. 3. Concerts are presented in the Discovery Center's outdoor amphitheater. Tickets are $20-$22 adults; $10 teens; kids 12 and younger are free. For more information on any Discovery Center programs, call 909-866-2010 or 909-382-2790 or visit goldenbear.net/news.cfm or www.NationalForestAssociation.org. The center is at 40971 North Shore Drive/Highway 38, Fawnskin. The Big Bear Discovery Center is co-managed by the nonprofit San Bernardino National Forest Association and the U.S. Forest Service. Entrance is free and the facility is pet-friendly. The Big Bear Lake Marketing Association (BBLMA) through their local and regional partnerships is responsible for the development and daily management of 12 websites consisting of Big Bear Lake lodging, accommodations, resort cabins, vacations, news and reviews. We daily update over 30 news stories about Big Bear events and weather. We manage over 3750 landing pages of discount coupons and vacation planning. The websites have over 1375 current photos of the drive to the mountains, the four seasons, resort cabin interiors and exteriors, and events of local interest for mountain travelers and group retreats; featuring small and large Big Bear Lake cabins for rent. The Big Bear Lake Marketing Association gives this company our top rating for family vacation lodging and groups. World famous Golden Bear Cottages Resort is a founding lifetime member in excellent standing with the BBLMA. "We have always done private rentals in Big Bear before, but we found Golden Bear to be a more affordable option for the Christmas period so went with it, and now believe we will return to Golden bear rather than do private vacation rentals in the future. Golden Bear Cottages resort is rustic, charming, and welcoming." "Each year, since 1995, our family has been patronizing Golden Bear Resort in Big Bear Lake. We have rented several different size cabins over the past 15 years and for stays of 2 to 7 nights. Sometimes once a year, sometimes 2 or 3 times a year for vacation. We have become friends with Don and Karen DiCarlo, and their daughter, Lisa, and son-in-law, Lenny Duran. Truly nice folks." Golden Bear Cottage Resort and other all-in-one destinations completely erase the need for transportation once you arrive, because there are so many activities to do on site. 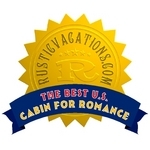 Best place to stay AAA approved cabins. Choose one of these vacation spots, and you'll have easy access to local food, entertainment and everything else that you'd need to make your trip enjoyable.